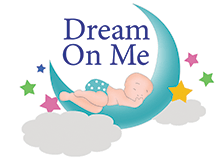 Dream On Me, 24x ,3” Extra Firm Portable Crib Mattress gives way to premium support and comfort for your baby. Constructed with quality materials and workmanship in the USA. Features include high density foam, a hypoallergenic, anti-bacterial waterproof cover that aids in the prevention of mold, mildew and odor. Easily wipes clean with warm water and mild soap.